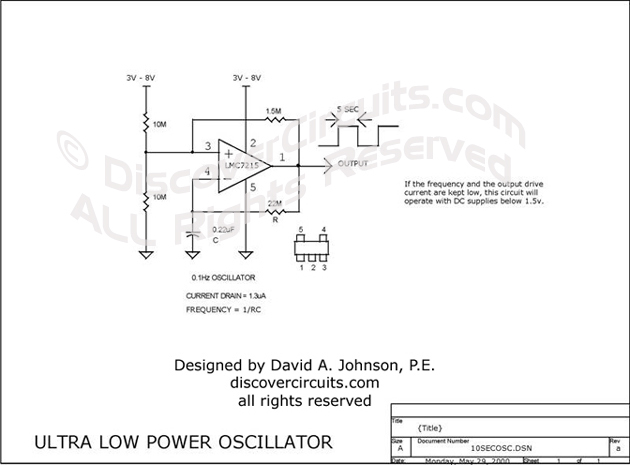 Circuit: PRECISION ULTRA LOWER POWER OSCILLATOR __ Circuits designed by David A. Johnson, P.E. This circuit works much like the classic 555 timer, but draws only about 1.5 microamps from a 3 volt battery. It is highly stable under varying temperature and supply voltages.